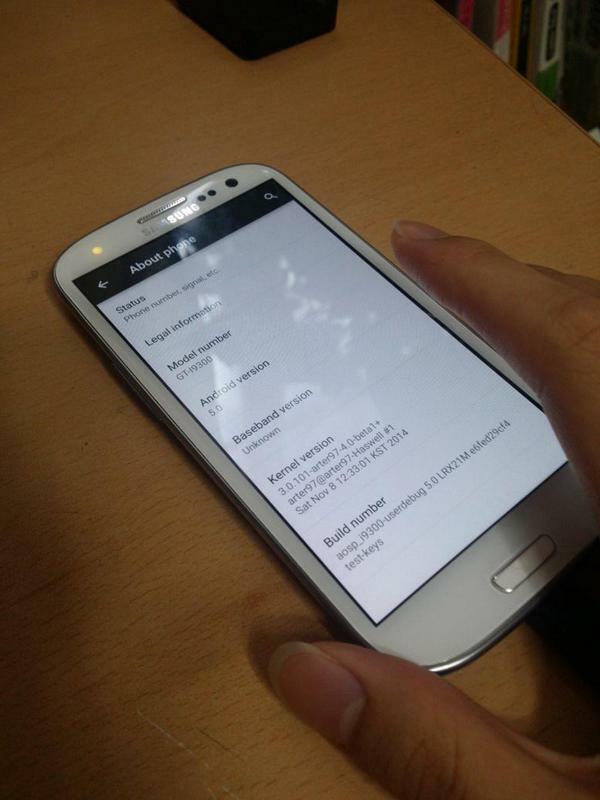 Samsung galaxy S3 comes with Android 4.0.4 ICS . Samsung galaxy S3 mini has 4.8 inch display , It comes with 1 GB ram and a quad core CPU which is clocked at 1.4 GHz . It has a 8 mp of Rear camera and a 1.9 mp Front camera . Finally Samsung Galaxy S3 users can now taste Lollipop on their device , arter97 A senior Xda developer which makes Roms for S3 has successfully booted Android 5.0 Lollipop on Samsung Galaxy S3 ! Finally Unofficially Android 5.0 Lollipop Is out for S3 ! As we know Samsung will not provide even 4.4.2 Kitkat for S3 , So no more expectations from Samsung . So finally Android Lollipop Rom is Out based on Real Android 5.0 Lollipop . Go Ahead to Download Link , To test Android 5.0 Lollipop on Samsung Galaxy S3 .